FISHKILL, NY (November 15, 2018) - The Hudson Valley Renegades are pleased to announce three promotions within their front office staff as the team prepares for the 2019 season. Kristen Huss returns to the Renegades in a full-time capacity as Vice President of Community Partnerships, Bryan Viggiano has been promoted to Assistant General Manager / Director of Ticket Sales and Nick Leitner was named Box Office Manager. Huss will once again call Dutchess Stadium her home base after spending the last three years as General Manager of the Pittsfield Suns, a team also owned by the Renegades' ownership, The Goldklang Group. Huss will continue her involvement with the Suns as the team's President. She first joined the Renegades as a member of the team's game day staff in 2001, selling programs at The Dutch throughout high school and college. Following her graduation from Fairfield University in 2006, Huss joined the Renegades front office as an intern in the team's ticket office. This led to a full-time opportunity in the fall of 2006 and since then, Huss has been an integral part of the Renegades front office. She was promoted to Assistant General Manager in 2013 and in the fall of 2015, was promoted to General Manager of the Suns. Huss' numerous accomplishments, both in the community and professional baseball, have been recognized throughout her career. She was named the New York-Penn League's Woman Executive of the Year and one of Dutchess County Regional Chamber of Commerce's "Forty Under 40" in 2015. In the fall of 2017, Huss was inducted into the New England Baseball Hall of Fame and named the Futures League Executive of the Year. Huss is a native of Suffern New York. Viggiano first joined the Renegades in January, 2017 as the Director of Ticket Sales / Manager of Inside Sales. A native of Mahopac, NY, Viggiano began his career in sports in 2011 as an Account Executive with the Rockland Boulders. In 2014, he worked for the Brooklyn Nets in the Inside Sales Department and a year later was promoted to Group Sales Account Manager with the New York Islanders. Viggiano currently lives in West Haverstraw, NY with his wife, Valerie. After serving one full season as a Group Sales Executive in 2018, Leitner has been promoted to Box Office Manager of the Renegades. He started with the team as a Ticket Sales and Operations Intern for the 2017 season. A native of Parsippany, New Jersey, Nick graduated from William Paterson University of New Jersey in May, 2017 with a degree in Sport Management. He started his career in baseball as a Gameday Operations Intern with the New Jersey Jackals. "Kristen, Bryan, and Nick are three talented individuals that make the Renegades an even stronger organization in their new roles," said Renegades President and General Manager Steve Gliner. "They will continue taking care of our fans and partners allowing the Renegades to engage more closely with our community." The Hudson Valley Renegades are the New York-Penn League Short Season Class A Affiliate of the Tampa Bay Rays. The 2019 home opener is Sunday, June 16 against the Lowell Spinners. 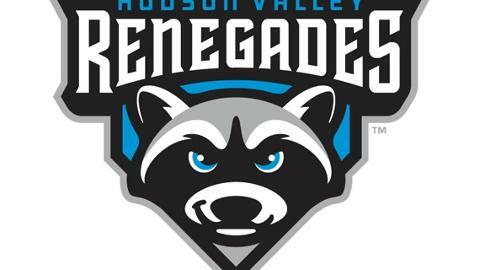 For more information, please call 845-838-0094 or visit hvrenegades.com.